We spoke with some of the women from Impact Hub Budapest to get the scoop on how they built their professional careers. These women are among some wave moving influencers in making a positive impact in various industries. They are our BUDAPEST FEMALE ENTREPRENEURS and we would like to shine the spotlight on them in a series of blog posts. We had the pleasure to kick things off with Maureen Mungai from Kenya, founder of GlobetrotterSeven. The goal of GlobetrotterSeven is to connect businesses in Africa with the rest of the world. This way they facilitate the exchange of learning that can happen between the continents and open a lot of investments opportunities. After lightening the mood with a spare time question, we got into talking about when the entrepreneurial bug bit her. Which was quite interesting because it was something that she had on her mind for 10 years now. Throughout all her travels and spending time in Zimbabwe, Lesotho, and Liberia, Maureen was fascinated by the things that she saw women entrepreneurs doing, the upcoming young people and their innovations. 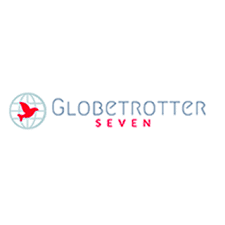 GlobetrotterSeven was established to connect the two worlds, by working closely with community-based organizations and Governments who identify skill(s) they could benefit from. We periodically organize skill transfer trips that matchmake skillsets to communities. “An idea only becomes functional when you plan it out, otherwise, you would find yourself in different places and not actually doing something concrete.” This quote summed up how Maureen started to focus on her enterprise. She spent two years working and planning the direction and areas that she would be focusing on before she dove in fully the beginning of 2018. Q: What are some of the challenges you face as an entrepreneur? We had some time to get into her motivations where she expressed her love for Africa and the world in general and that is what encourages her. Maureen is very passionate about the connections that she is helping to forge between continents and have them flourish. Q: What is your advice for the people reading this blog interview? As I wrapped up the interview with Maureen, I mentally took notes of some of her tips and the things she encouraged us to do and how to get started. Maureen is making her impact by connecting the world that she grew up in and love, with the world that she explored on her travels and found a way to fuse them to benefit both an all-around promising partnership.